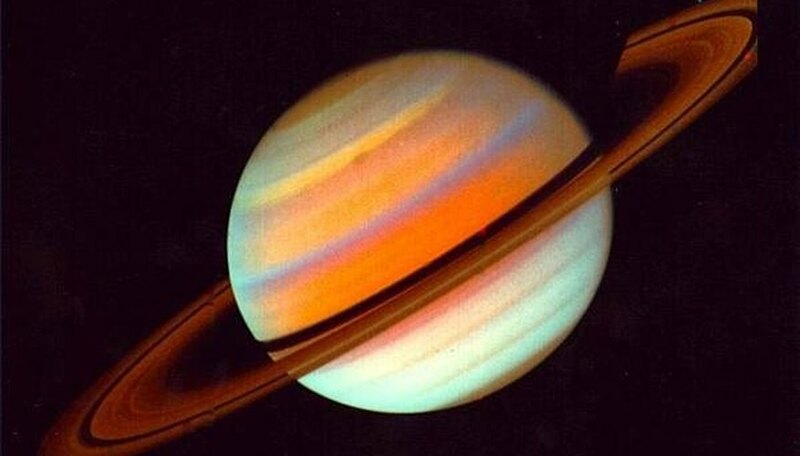 The most distant of the five planets visible to the naked eye, Saturn was named for the Roman god of agriculture. In 1610, Galileo discovered the planet's rings with his telescope. 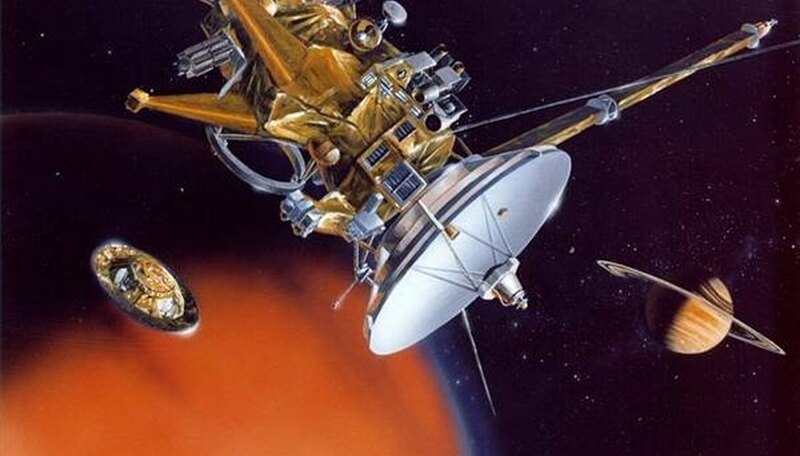 Though ground-based observations since that time have revealed more information, our knowledge of the planet expanded exponentially with several planetary probes beginning in 1979. 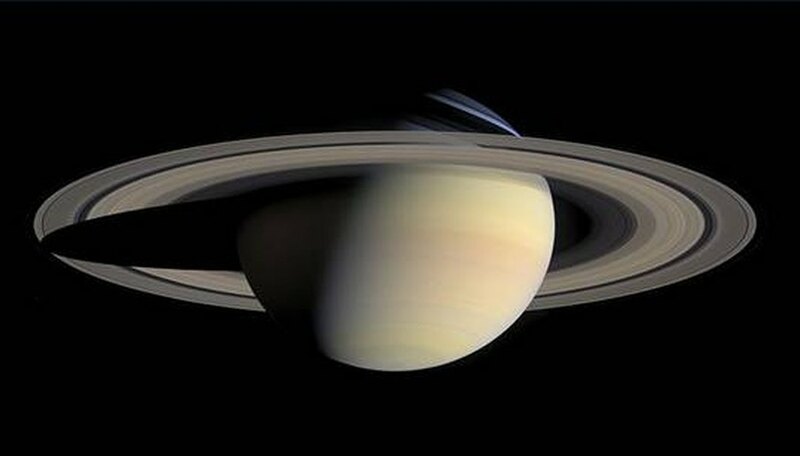 At almost 75,000 miles in diameter, Saturn is the second largest planet and the sixth to orbit the sun, at a distance of 885 million miles. It takes almost 28.5 years to complete one orbit, though it rotates in just over 10.5 hours. Being a gas giant, it has no known surface but likely has a rocky inner core surrounded by a layer of liquid metallic hydrogen. 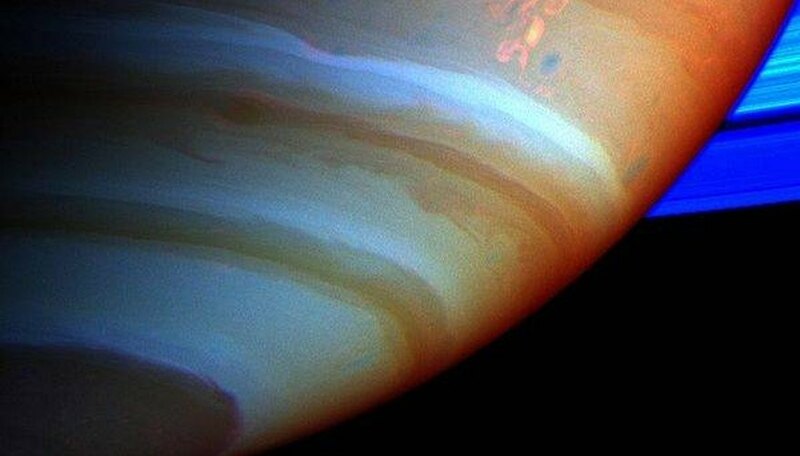 The atmosphere of hydrogen and helium circles the planet at up to 1,100 miles per second, forming subtly colored bands that are occasionally interrupted by swirling storm spots. Each of the planet's 7.5 year seasons can change the temperature, which is at an average of --285 degrees Fahrenheit at the tops of the clouds. Saturn's most striking feature is its ring system, which consists of countless chunks of ice the size of dust particles to pieces as big as 10 meters. The space between chunks is large enough that probes have crossed through them with no damage. 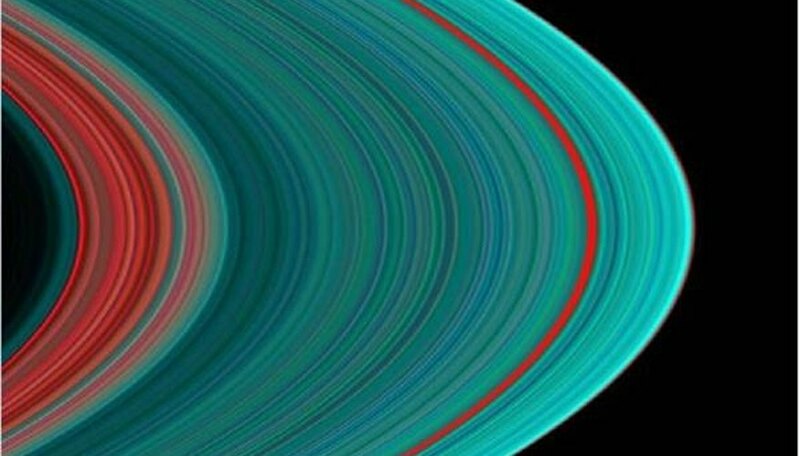 There are seven major rings, with the largest being 180,000 miles across, and countless smaller ringlets, some of which are held in place by shepherd moons. As of May 2009, the planet has 60 known moons. The largest of these, Titan, is bigger than Mercury with a diameter of 3,200 miles and contains a thick nitrogen atmosphere. 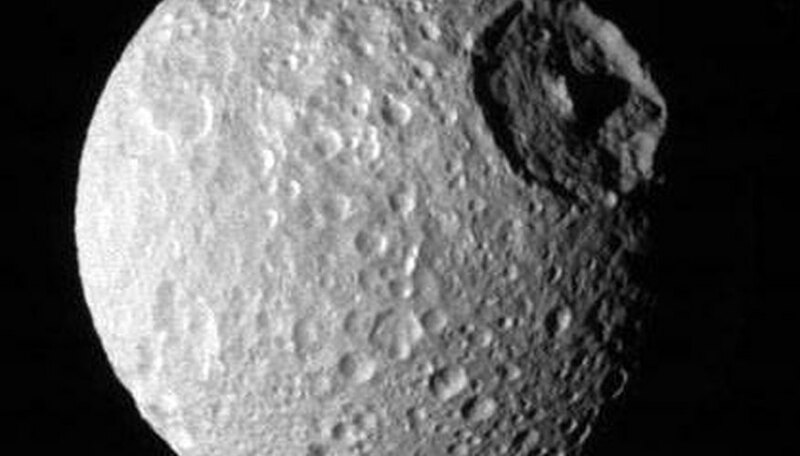 Another, Enceladus, shoots icy plumes of organic molecules into space, while Mimas is covered by one crater whose size is over one quarter that of the moon's diameter. The planet has been visited by the Pioneer 11, Voyager 1 and Voyager 2 probes. The latest, Cassini has been in orbit around the planet since 2004 and is observing seasonal variations. This probe sent a lander, Huygens, into Titan to discover what looked like river channels and a shoreline, as well as a rocky surface bathed in an orange haze. Locsin, Aurelio. "A Description of Saturn." Sciencing, https://sciencing.com/description-saturn-5045770.html. 24 April 2017.